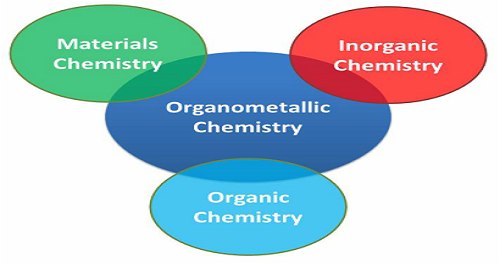 Organometallic Chemistry: the study of chemical compounds containing at least one chemical bond between a carbon atom of an organic compound and a metal. These metals include all alkali and alkaline earth metals, all transition metals and the lanthanides and actinides in the Periodic Table. Organometallic compounds find wide use in commercial reactions, both as homogeneous catalysis and as stoichiometric reagents. There are currently no items matching "Organometallic Chemistry".